Runoff from land causes elevated nutrient loads and increased turbidity from suspended sediments (see Chapter 11). Excessive levels of sedimentation are caused by activities such as soil erosion from agriculture, dredging, and drilling for oil and gas. The most widespread of these is soil erosion, due to changes in land use practices, into rivers that flow onto coastal reefs. Throughout the tropics, there has been widespread deforestation and land clearing for agriculture, aquaculture and urbanisation. Turbidity influences the physiology, growth and survival of corals in several ways (see also Chapter 7). First, corals are forced to expend energy cleaning themselves of sediment and repairing damaged tissues. Second, the amount of light reaching a coral colony is reduced by increased turbidity, slowing their growth. Third, turbid waters tend to be enriched in organic matter and nutrients, which can boost the energy intake of some hardy corals. However, in general, too much sediment is bad for reefs. It is especially damaging to juvenile corals that are easily smothered by silt (Fig. 9.2). 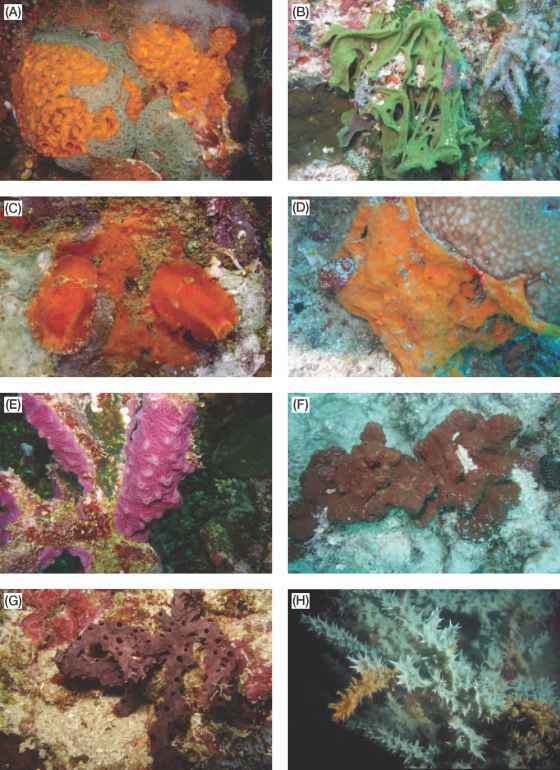 suspended material) on inner reefs is typically 1-5 m, and about 10-20 m on average further offshore on mid-shelf reefs. This compares with 40 m or more in, for example, the Caribbean and on oceanic reefs. Bottom-up effects. 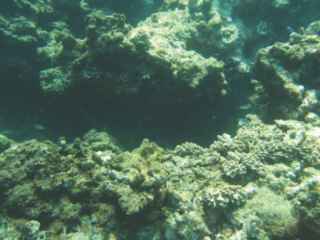 Inputs from sewage and runoff of fertilisers can potentially cause eutrophication on coral reefs. The iconic example of sewage effects on a coral reef come from Kaneohe Bay, Hawaii. The bay is very shallow, connected to the ocean by a narrow opening (i.e. it has a very low flushing rate compared to most reefs), and the land area surrounding it is densely populated. It has a long history of other impacts such as dredging and overfishing and has a high proportion of pest species introduced by shipping. From 1963-1977 secondary sewage was discharged into Kaneohe Bay from three outfalls at a rate of up to 20 000 m3 of sewage each day. There are also several streams entering the bay, carrying urban and suburban runoff. The increased nutrients resulted in higher sediment loads and phyto-plankton blooms. Coral patch reefs were colonised by benthic macroalgae and suspension feeders (bivalves and sponges), while coral cover declined sharply. These effects exhibited a gradient away from the sewage outfalls. In 1977 the sewage pipe was extended ('diverted') into deeper water. Water clarity improved, the filter feeders and algae declined, and the corals slowly increased. Destructive population explosions of the coral-feeding crown-of-thorns starfish, Acanthaster planci, may also be related to nutrient enrichment (see Chapters 11 and 26). The outbreaks were first observed in the late 1950s and 1960s, when many corals reefs in Australia, Guam, Japan, the Red Sea and elsewhere were badly damaged by enormous densities of starfish. Since then, there have been repeated outbreaks throughout most of the starfish's geographic range, and they have become a chronic issue on many reefs, including the GBR (Fig. 9.3).